Window treatments are often overlooked when sellers are preparing their home for sale. When most buyers are surveyed about what they’d like in a new home, one thing that almost always comes up is “lots of natural light”. While some of this may be out of your control, window treatments are one thing you can control to maximize the amount of natural light you do have. You can make sure all curtains, shades, and blinds are open during all showings and open houses. You want to take down any heavy window treatments, especially drapes. They make the room look dark, even when they are open. You also want to remove any treatments that can’t be opened or are going to be a hassle to open every day. Take down any treatments that are outdated, dirty, don’t match the current décor, or are not in the best shape. Cleaning window treatments and curtains. Before you list the home, you do want to thoroughly wash all window treatments that still work in the space. This means washing curtains at home or taking them to a dry cleaner. Check labels to be sure. Blinds and shades should be wiped down with a damp cloth or follow manufacturers’ recommendations. In addition, make sure to keep or put up window treatments in bedrooms. 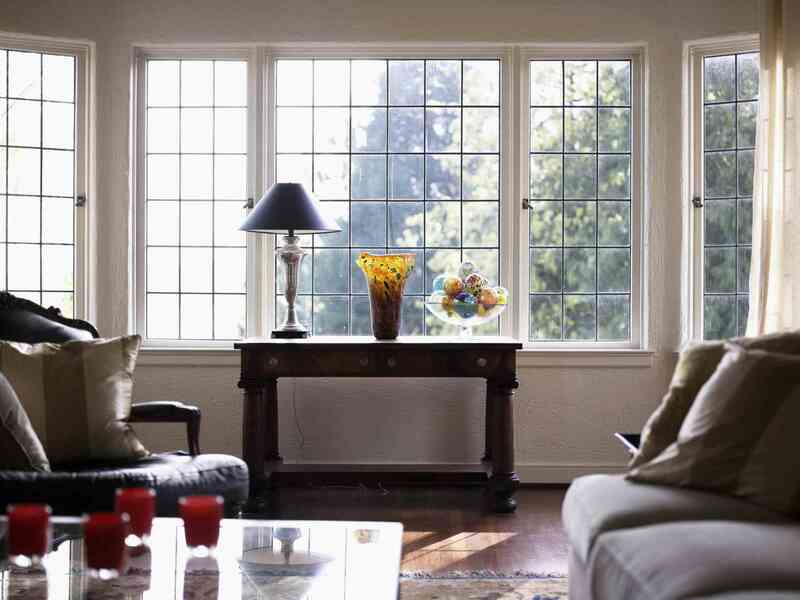 This is one place buyers almost always want some type of window treatment. Custom window treatments could be a good option. What do you do with custom window treatments? Some sellers feel they should take them because they paid for them -- and they can be costly. That is absolutely your choice, but think about what you are going to do with them? If they were custom-made for a certain window size or shape, it’s unlikely they’re going to fit any of the windows in your new space. If they do, that’s great. If they are not going to fit and they will just be stored away, you might want to leave them. It’s a great selling point to point to feature in listings and flyers. If you are not leaving them behind, make sure to state this in the listing to avoid complications at closing. Many sellers do take basic curtains and rods with them because they often fit anywhere. There are entire decorating books that are written about window treatments. There are so many unique and stylish treatments you could install, but save those for your new space. If you don’t have window treatments up now, or yours are not appropriate, just stick to the basics –- panels, blinds, or shades. Hang rods as high as possible: this elongates the room and makes the ceilings appear taller. Consider sheer curtains: if you have a view that’s not necessarily bad, but perhaps interferes with your privacy but you still want light to come in, consider sheers. Use double rods: if you have ​space where you’d like to hang both sheers and solid panels, you can purchase double rods. They come with brackets that hold both rods on the same bracket. They are simple to hang and very efficient and versatile. They give you three options: both sets open, sheers closed but curtains open, or both sheers and curtains closed. Consider corner curtain rods: if you have a corner that has a window on each wall, they do make corner rods so you are able to hang curtains. A regular rod would not fit between the window and wall. Overall, keep in mind the purpose of each room and figure out what type of window treatment will work best in that space. Then select from that type. Make sure they go with the style and color palette in the room. Many times, you might already have the correct treatments in each room, or maybe they just need some cleaning or a little updating. Remember that you want to let in as much natural light as possible. You don’t have to spend too much time and money on this part of staging. You want the curtains to complement the room so buyers can focus on the home instead of individual elements, such as curtains.